Our products applying chemical technique has been used In the construction field. 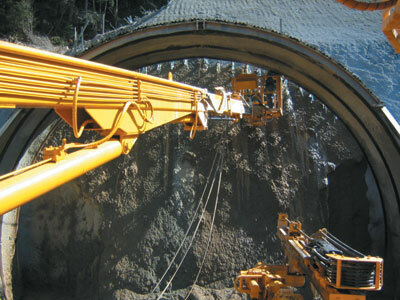 Additionaly, NiGK has the ground hardening material using applied urethane resin for tunnel construction, and inorganic adhesive anchor fixing-agent using special cement for civil engineering and construction work. NiGK's technology has largly been contributing the improvement of the environment and construction safety.